This album is rather over-shadowed by the Live At The Apollo recording from 1962 and his later live funk albums but it is well worth listening to although the sound is quite flat. 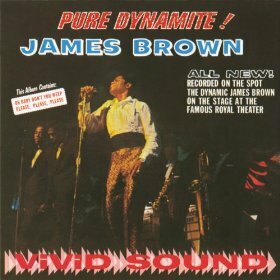 Do you think this is one of the best live albums by James Brown? It is NOT nominated in the polls to find the best live soul albums or the best early R&B and rock&roll live albums. Do you think it should be? This entry was posted in 1960s Live Albums, Rock n Roll and Early RnB Live Albums, Soul Live Albums and tagged 1960s soul, 1963 live albums, James Brown Live Albums by Paul Simister. Bookmark the permalink.